Anyway, as my wine drinking years crisscrossed into my Mexico travel career, it was quickly apparent that: A.) It wasn’t about how many tequila shots I could do anymore (which at one point was indeed an impressive number!) B.) The Mexican wine scene did in fact exist. C.) It’s quite a good scene. Once again, as with most things in Mexico, there is far more here than meets the eye. Even sophisticated sippers may not understand the depth and excellence of our neighbor’s southern grapes. To bring you up to speed, here’s a quick history lesson and a bit of interesting information. As long as there has been wine, there has been celebration of the harvest. And celebrations are at their best in Mexico. With splendor, grandeur, beauty and excitement the Mexican people embrace the tradition of recognizing the moment when grapes mature and new wines are born. Each year, beginning the first week in August, the Mexican wineries host the Grape Harvest Fiesta (Fiesta de la Vendimia). Over the course of four weeks, in the Valley of Guadalupe in the municipality of Ensenada, Baja California, grapes are carefully plucked from their vines and festivities abound. Cultural events, tours of the Valley, tastings and sumptuous feasts are the highlight for hundreds of visitors who partake in the offerings of local producers. Throughout the month, each winery has a schedule of happenings geared specifically for the introduction of their latest creations. Most of the wineries participate in group events. For more information about the Fiestas de la Vendimia in and around Ensendada area, check out http://www.fiestasdelavendimia.com/ or http://www.bajabound.com/events/vendimiaschedule.php. This year’s events kick off on August 5th with an opening “Wine Experience” and culminate with a Paella Cooking Contest on August 22nd.. Most events cost between $25 and $150.00 US dollars, but admission is free for the traditional street fair on August 19th and 20th at Santo Tomás. If you’re a wine drinker, this should certainly make your list of events. 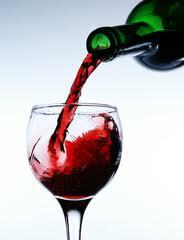 I say bottoms up, Mexico and cheers for stepping so proudly and successfully into the wine arena. Disclosure: I am being compensated for my work in creating and managing content as a Community Manager for the México Today Program. All stories, opinions and passion for all things México shared here are completely my own. Mexico Today a joint public and private sector initiative designed to help promote Mexico as a global business partner and an unrivaled tourist destination. Hey Lisa, great to see this piece on Mexican wine, which still doesn’t seem to get enough ink. Hope to make up to Ensenada for the wine route soon! Saludos.